An overhaul to coursers, giving them new abilities and behaviors, as well as restoring their cut weapon Institute bioweapon from the concept art! Niero made the weapon, thus control of it ultimately belongs to him. Talk to him instead. Niero for the gun. Custom ordered. Wait, no no I'm confusing this with something else. Coursers are chumps who usually get a mininuke or speech check to the face. Not exactly the Bladerunneresque, hunter-killer nightmares that everyone talks up right? I mean they even wield those cereal box rifles. I think it's time to overhaul that. Courser Crusher is a lightweight bossfight overhaul, that restores both some of the unused or unworking abilities of the Coursers, as well as remakes their special cut from the concept art. -Several new abilities for the Coursers, both restored from vanilla and brand new. Coursers now have the ability to teleport around, both to dodge your attacks and close any distances between you! They can also enter an "overcharged" mode for a short time, which boosts their damage and defense considerably, but forces them to use melee attacks and greately lowers their speed! Coursers will bring out synths at lower health percentages, and have a chance to enter a red alert state, which removes the speed penalty from their overcharged mode! -Some minor stat changes to Coursers to make them a bit more powerful. -A brand new rifle: The V3N Courser Biorifle! Automatic rifle is not only fully moddable and lore friendly, but comes with the ability to switch between different ammunition types, with a variety of craaaaaazy effects, and is useable for both early and late-game players. 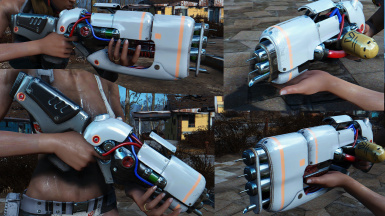 It includes over 15 mods, 5 different ammo types, equippable duck, and comes with all the things that people who like weapon mods enjoy. -New bossfight mechanics for Operation Ticonderoga and Greentech Genetics' Courser. The Greentech Courser has a more robust use of stealth boys, and randomly teleports around areas. Operation Ticonderoga's Courser has a secondary unit, which will randomly switch overcharge mode states with the main unit. Only one can be hurt at a time, so be careful! 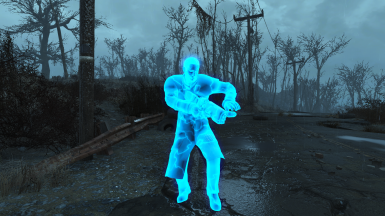 This mod can be used mid-playthrough without much issue, but obviously players who have sided with the Institute aren't going to get much mileage out of a mod that changes how coursers fight. You can still murder one in a bathroom for their rifle, but evidently this mod works best with a new game, or at least a game prior to fighting any coursers, to get that full effect. 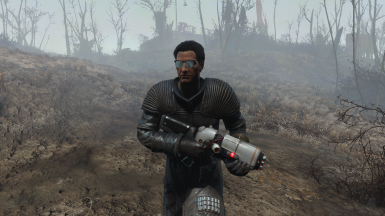 The Courser's rifle's ammunition can be gotten by killing coursers, but more often you'll want to just make it at a chemistry bench. The [Switch Ammo Type] item in your inventory can be hotkeyed and will let you swap between ammo types freely, though must be equipped to do so (luckily, it's under armor, so it can be hotkeyed). 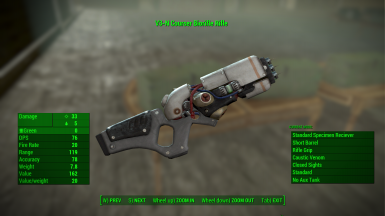 This mod modifies Coursers, so load it after anything that, obviously, also modifies with coursers (otherwise you'll get weird things like them not having their rifle, which is the entire reason you downloaded this mod anyway). -Niero, for making the V3N Rifle.